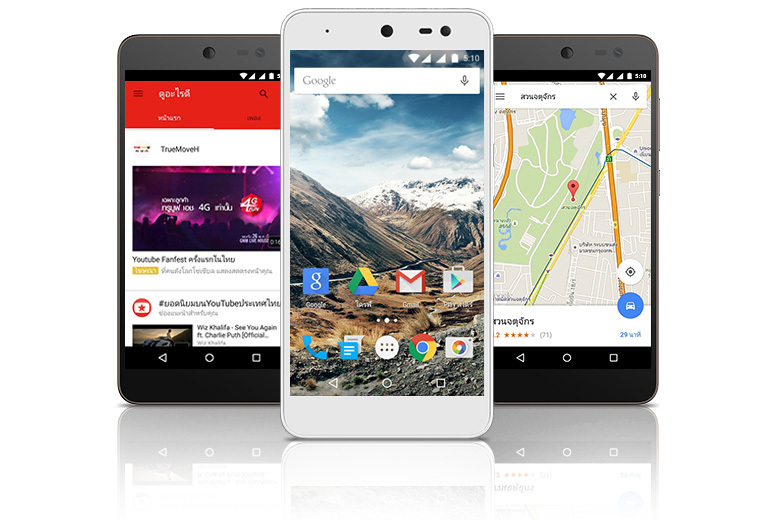 Google has announced the expansion of Android One into yet another country. Now residents of Thailand will be able to pick up the i-mobile iQ II for 4,444 TBH (that's about $127). The specs are somewhat modest, but you get the latest and greatest version of Android and updates from Google. The iQ II is one of the slightly nicer One devices we've been seeing lately. It has a 5-inch 720p screen, 16GB of storage (and SD card slot), 1GB of RAM, and a Snapdragon 410 processor. There's an 8MP camera on the back and a 2MP up front. The specs claim 4G support, but I suspect that means HSPA+ (I am basing this on Google Translate). As with all Android One phones, the iQ II has stock Android just as Google intended. It's launching completely up to date with Android 5.1.1. It will get updates from Mountain View in the future as well. It's available for purchase in Thailand today.